The White House may renominate FCC Chairman Ajit Pai for another term before he goes before the Senate Commerce Committee tomorrow, according to industry sources. Pai met with President Trump yesterday about being renominated for another term, the sources said. Pai's current five-year term only takes him through the end of the year, so he needs to be renominated to stay on as chairman. There are also two vacancies at the commission waiting to be filled by Trump — one Republican seat and one seat that has to go to a member of another party. Names floated for the Republican seat include Indiana State Senator Brandt Hershman, who has ties to Vice President Mike Pence, and Rosalyn Layton, a free-market scholar who served on the FCC transition team. Democrat Jessica Rosenworcel, who recently wrapped up a previous term at the commission, is in play for the other vacancy. Obama renominated Rosenworcel before leaving office, but her nomination was pulled last week when Trump withdrew a number of regulatory nominations. An FCC spokesman declined to comment Tuesday. 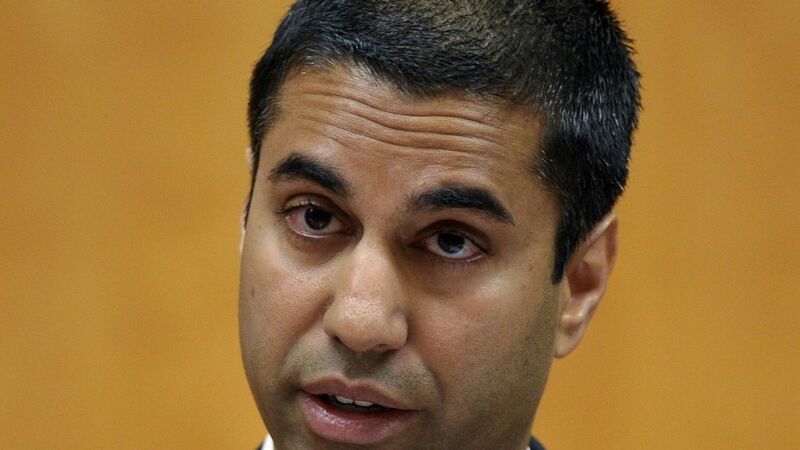 An administration official said, "Like several of his other daily meetings, President Trump met with FCC Commissioner Pai to discuss how to best solve the issues and concerns facing Americans every day."